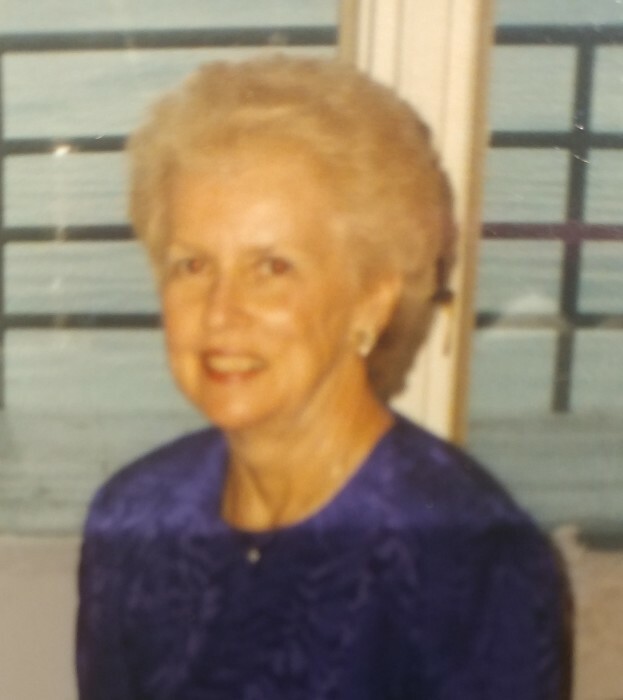 Catherine P. Galeota (nee O’Brien), formerly of Buffalo, passed peacefully in her sleep on March 16, 2019 at Winchester Gardens, Maplewood, New Jersey. Loving wife of Dr. Philip A. Galeota; dearest mother of Monica G. Hamill (Robert Calandra), Philip Galeota, Cynthia Galeota (Andrew Sprung) and Sandra Galeota-Long (Richard Long); devoted grandmother of Benjamin Galeota-Sprung, Alex Hamill (Lindsay Zak Hamill), Jonathan Hamill, Jonah Galeota-Sprung and Dylan Long; dear sister of the late Marion McCarthy Wirth and Annamarie Saab; aunt of James McCarthy, Jeannine Kohl, George Saab and Mark Saab. The Mass of Christian Burial will be celebrated on Saturday, March 30th at 11:00 a.m. at St. Joseph’s Cathedral, 50 Franklin Street, Buffalo, NY 14202. In lieu of flowers, donations made be made to Buffalo Catholic Charities (ccwny.org). Catherine P. (O’Brien) Galeota, formerly of Buffalo, New York, passed away peacefully in her sleep at her home in Winchester Gardens, Maplewood, New Jersey where she had lived for the past seven years. Born February 8, 1931 in Buffalo’s First Ward to Catherine Hennigan and William O’Brien, Mrs. Galeota graduated from South Park High in 1947 and worked at the Bell Telephone Company. On September 6, 1952, she wed Dr. Philip A. Galeota and helped him establish his oral surgery practice with offices in South Buffalo,and downtown Buffalo. She created a loving and nurturing home for her husband and four children in West Seneca. In 1987, Mrs. Galeota and her husband joined the growing number of residents returning to the city, moving to the Buffalo Waterfront. Known for her gentle spirit and gracious manner, Mrs. Galeota, known to all as Cathy, was an avid cook and traveler and patron of Buffalo arts organizations, including Studio Arena Theatre, The Irish Classical Theatre Company, Kavinoky Theatre, The Buffalo Philharmonic Orchestra, and the Albright-Knox Art Gallery. She was a member of the Buffalo Yacht Club and the former Concord Ski Club. While living in West Seneca, she was an active parishioner of Queen of Heaven Church. Mrs.Galeota joined Saint Joseph Cathedral after moving to the city proper. Survivors include her husband of 66 years, Dr. Philip A. Galeota; children Monica G. Hamill, (Robert Calandra) Philip Galeota, Cynthia Galeota, (Andrew Sprung) and Sandra Galeota-Long; ( Richard Long) and grandsons Benjamin Galeota-Sprung, Alex Hamill (Lindsay Zak Hamill), Jonathan Hamill, Jonah Galeota-Sprung and Dylan Long; dear sister of the late Marion McCarthy Wirth and Annamarie Saab;aunt of James McCarthy, Jeannine Kohl, George Saab and Mark Saab. A mass of Christian Burial will be held Saturday, March 30th at 11:00 a.m. at St. Joseph’s Cathedral, 50 Franklin Street, Buffalo, NY 14202. In lieu of flowers, donations may be made to Buffalo Catholic Charities (ccwny.org).